Owning properties can be an amazing investment. Knowing when to hire a property management company is the first step in making sure your investments are protected and well maintained. 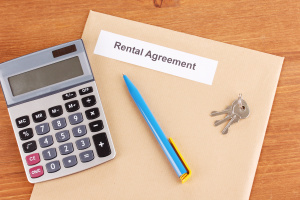 The decision to hire a property management company is a big one so use these tips to help you decide if it is right for you. Multiple Properties – As the number of properties you own increases, so do your responsibilities. The more tenants you have occupying your properties, the more maintenance issues and complaints you will be faced with. Not Enough Time – If you have a full time job and you are investing in properties, chances are you cannot give those properties the attention and time required to properly run them. Cash Flow Problems – Great property managers are experienced in finding tenants quickly. They have the ability to make sure your properties are rented and that monthly rent is being paid. Eviction Proceedings – Dealing with evictions is no doubt stressful. A property management company knows eviction laws and how to go about properly evicting tenants for various reasons. Advertising Your Property – On thing that goes along with making sure your properties are rented is proper advertising. Skilled property management companies know where to market your properties. They have all the necessary tools to create advertising materials as well. It is important to remember that you must be willing to give up control to the property management company in order for them to properly do their jobs. If you are seeking the help of a property management company to assist you with managing your properties, you must do your homework.